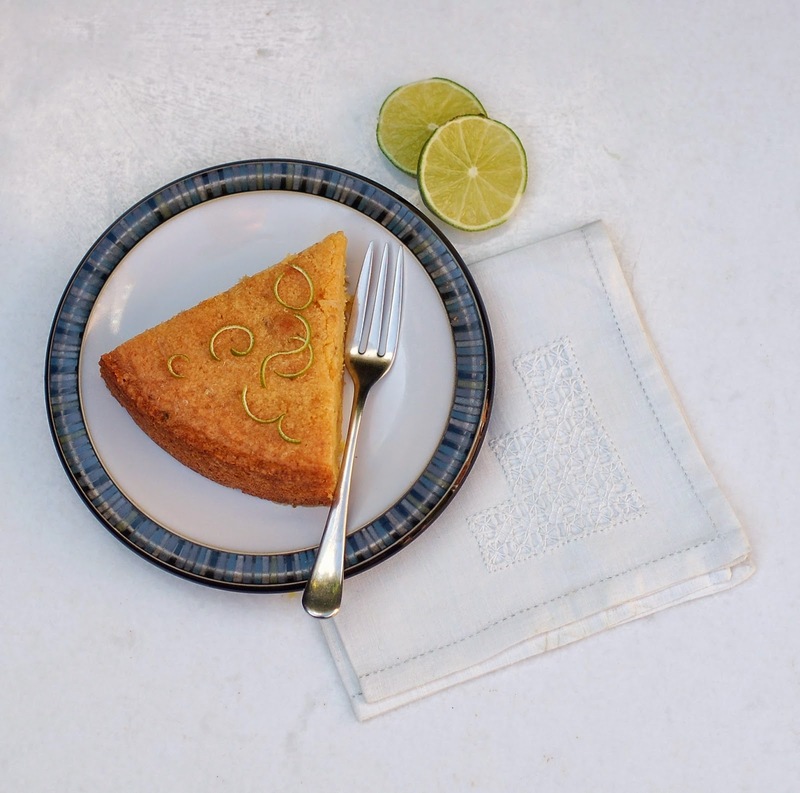 This gluten free lime, almond and polenta cake is full of flavour, with a lovely citrus tang. It is moist but has the kind of crumbly texture that you only find in polenta cakes. It is also very easy to make. Preheat oven to 180°C/160°C fan. Grease a 23cm diameter loose bottomed tin, and line the base with baking parchment. Place the ground almonds, polenta and baking powder into a bowl and stir. Set aside. Cream the butter and sugar until pale and fluffy. Add the lime zest. Add half of the dry ingredients and half of the eggs, and beat to combine. Repeat with the remaining ingredients. Spoon the mixture into the tin, and level with the back of the spoon. Bake for approximately 35-40 minutes. Gently heat the icing sugar and lime juice in a saucepan, until the sugar is dissolved. 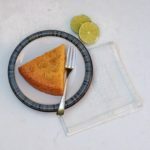 As soon as the cake is removed from the oven, prick the top all over with a thin metal skewer or cake tester, and drizzle the sugar and lime syrup evenly over the top. Leave to cool in the tin. When cool, remove carefully as the cake has a crumbly texture.